NOT EVEN CLOSE! Honestly, I said I would never get involved with someone in the military, and yet here I am, engaged to marry a soon-to-be officer in the Air Force and living 650 miles from "home". I always thought I would be living somewhere near Kansas City, if not in the city, and teaching high school there. Instead, I am in Colorado Springs teaching middle school... and I wouldn't have it ANY OTHER WAY! I love my life out here, and I am completely blessed to have this opportunity. I feel like I was born to be a Colorado girl, and middle school is DEFINITELY my calling. As for Dan, he's okay too. I kid. He is the most amazing fiancé on the planet, and I know we are meant for each other. In under ten months, we will stand in front of our families and friends to profess our love, but he is the only person I will notice. I can't wait to be his wife! 2. What is one trend you will never hop onto? Absolutely, without a doubt, I will never chop my hair off. I refuse to have short hair. I LOVE my hair. Right now, it is half way down my back. I have had it longer and also much shorter. 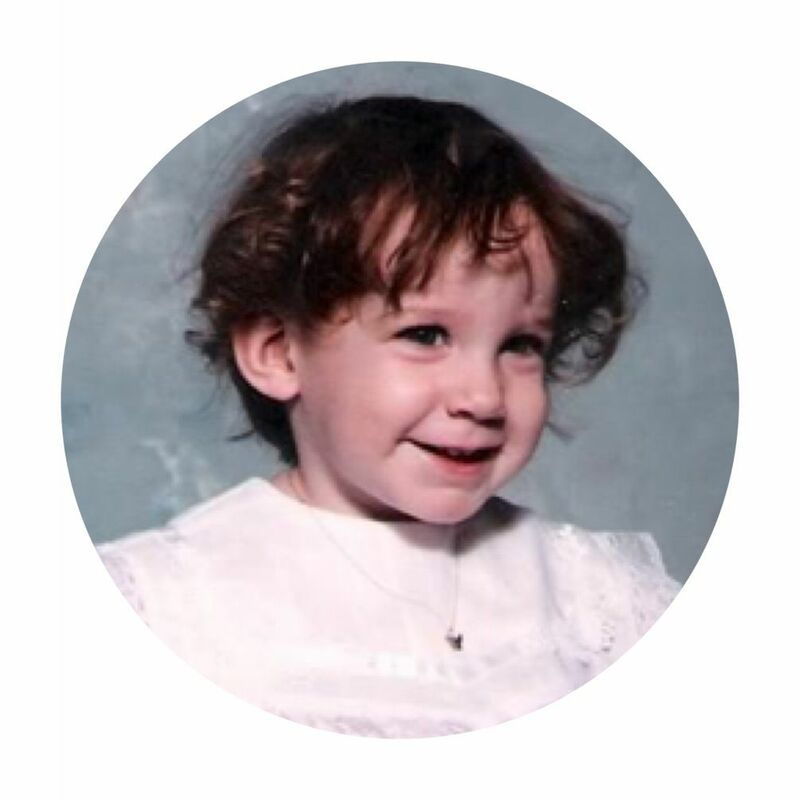 In fact, when I was six, my mom had my hair cut SO SHORT that I looked like a boy for a while. TERRIBLE. Because of that experience, I have always been hesitant to cut my hair, even if it's just a trim. It's something I've recently gotten over because my hair does grow back extremely quickly, but I still won't go shorter than my shoulders. No way. Not happenin'. 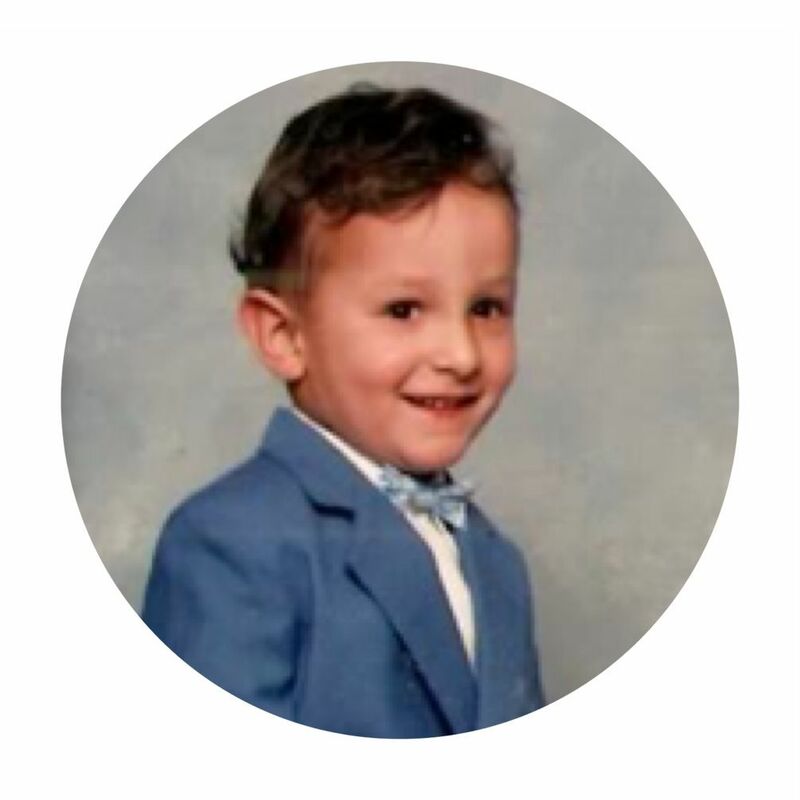 I found several pictures of myself at that age, but I just can't bring myself to share them. Seriously. It's bad. Just take my word for it this time. 3. What is the best piece of advice someone has ever given you? It's funny how the best piece of advice I've ever received is from someone younger than me and not a mentor from my life. Rather, my fiancé, Dan, told me something one time (okay, many times) that will stick with me forever. It's something I think everyone should hear because it has truly changed my life. 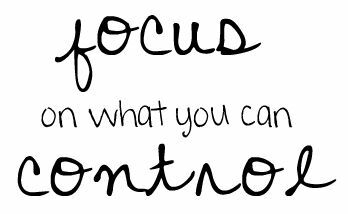 FOCUS ON THE THINGS YOU CAN CONTROL. Seriously. That's it. Simple. When you find yourself in a situation you don't approve of, don't panic or worry about the parts you cannot control. You won't be able to do anything about those things anyway, so put your time and energy toward fixing what you can. This piece of advice has carried over to every aspect of my life, and I am so glad I heard it (even though I was upset the first time because of how simple it was -- why hadn't I already thought of that?!). 4. What is your favorite piece of jewelry, other than your engagement/wedding ring? There are two pieces of jewelry that I cherish a lot. Of course, they could never compare to my beautiful engagement ring, but these two necklaces are also extremely sentimental to me. 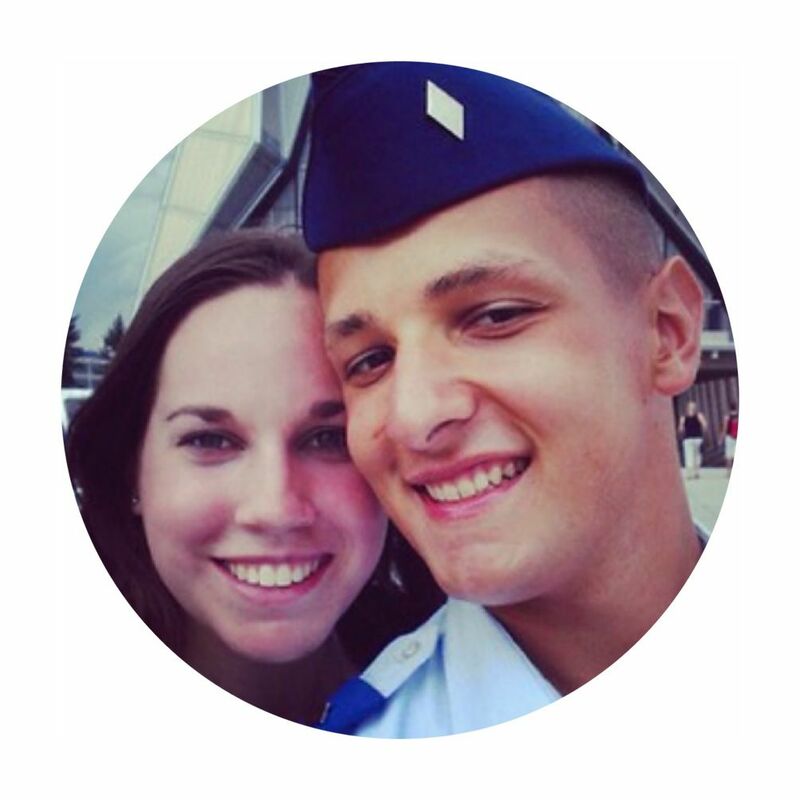 First, when Dan was a freshman at the Air Force Academy, he received an item called "prop and wings" after Recognition. It meant that he was officially an upperclassman and no longer a Doolie. It was an extremely important milestone during his Academy career. 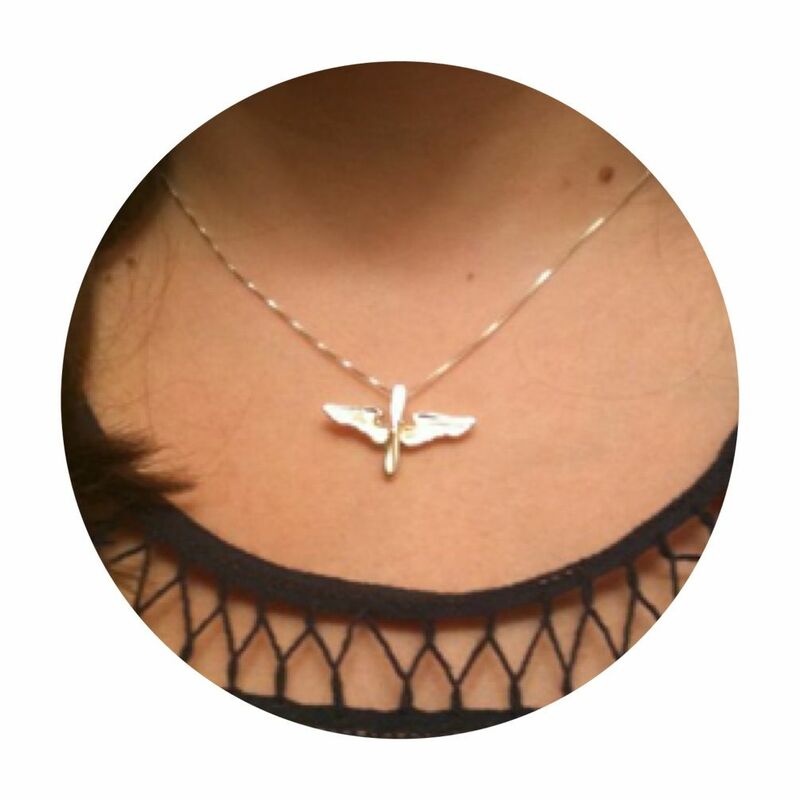 He took one of his prop and wings to a local jeweler and had it put on a necklace for me, and he gave it to me for my birthday that year. 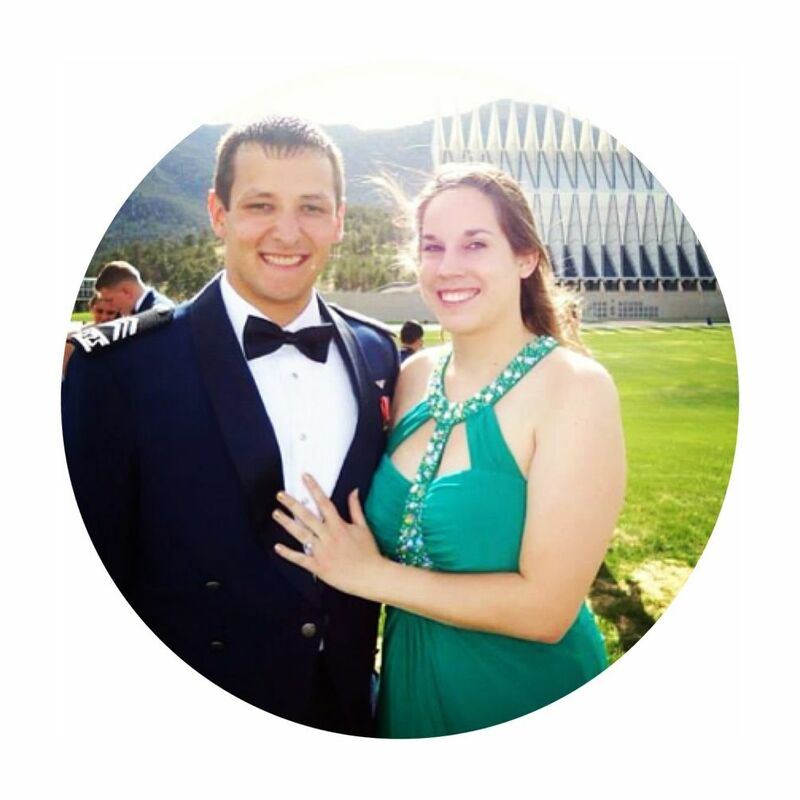 Then, two years later, Dan received his class ring at the Air Force Academy (you can read all about that experience IN THIS POST). It was a monumental evening with a dining in, where he received his ring, followed by a dance and a wonderful weekend away in Breckenridge. While we were at the dance, Dan pulled me outside of Arnold Hall and took me to a space where we were alone. He got all mushy-gushy on me, which is VERY rare, and told me how much he has appreciated my support throughout his time at the Academy, and then he pulled out a little necklace for me with a replica of his class ring! I wear it frequently, and people ALWAYS ask me what it's for. 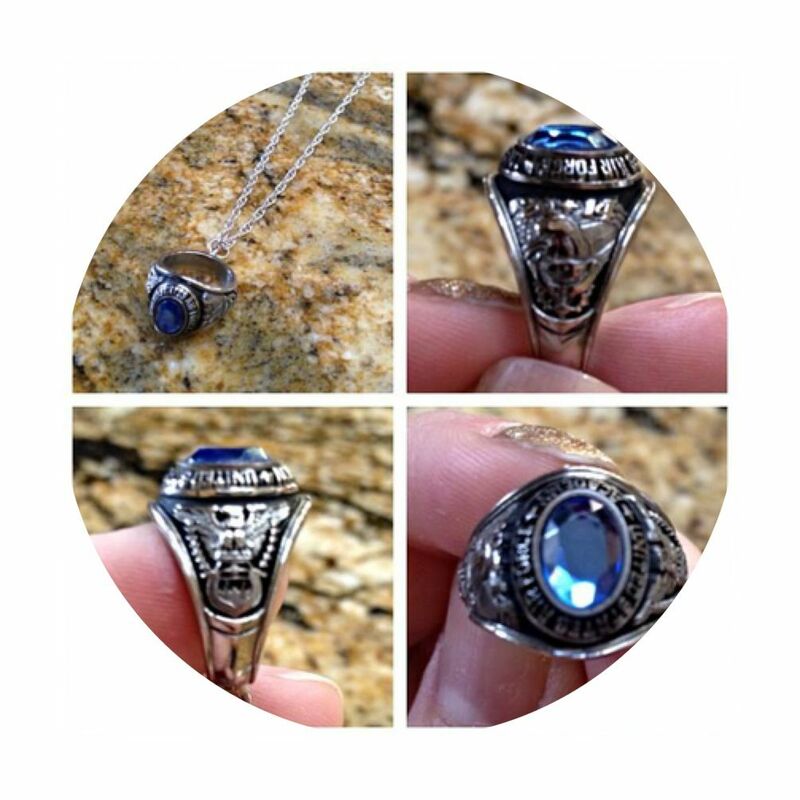 The stone is different from his because they only make the necklace rings in blue, but it has his class crest on it, and everything else is the same. 5. If you had a baby now, what would the initials be? Well, that was a fun post to write! It had been a while since I had really written much... with school starting back up, I've been busy, busy, busy! I can't wait to establish my new routine to be able to write more often. I'm the same way with my hair... I refuse to cut it short or really at all. I can so relate to your #1. 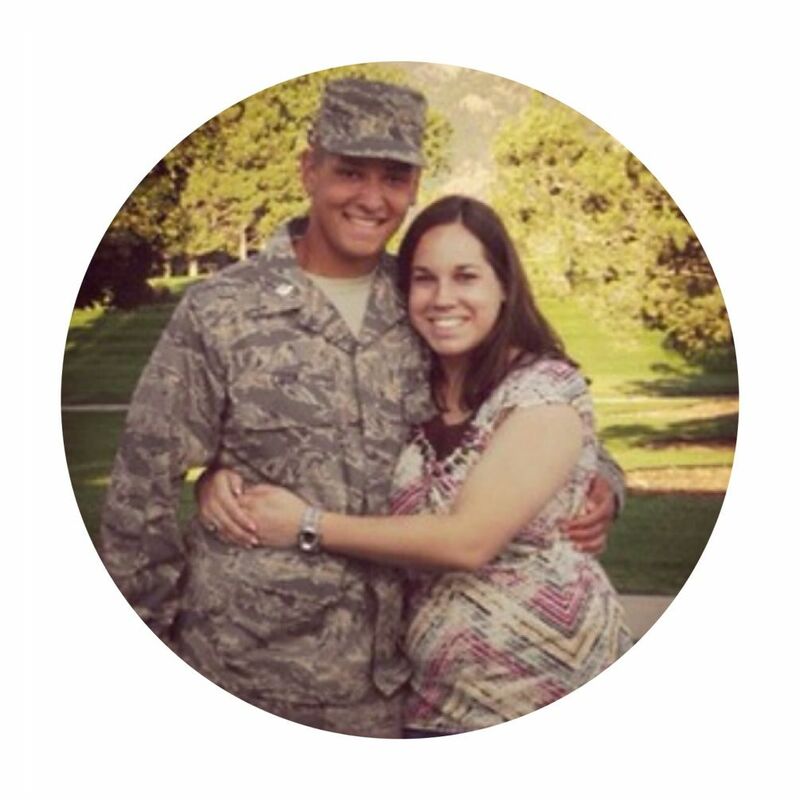 I never dreamed in a million years I would be with a military man. I never even thought I would ever move away from my home state and I go and move half way across the US. Funny how life goes! Such cute and thoughtful gifts he got you! I chopped mine a few weeks after the wedding for Locks of Love! That's the only way I can convince myself to cut it all off. I love the jewelry he gave you, those are very special!